"This is the most important person on the planet." 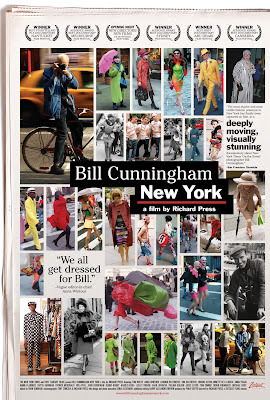 The above quote is one of the more telling lines from the new documentary on Bill Cunningham, the long revered street photographer from the New York Times-- a true original. Mr. Cunningham is not only one of a kind, but also one of the kindest. In my years of designing and showing, the first real highlight, the prize in all the hard work, was Mr. Cunningham's appearance in the photographer's pit. It was 2004 and it was at the Masonic Hall . He traded a front row seat for place on the floor. Looking back at the footage, I knew exactly which exits interested him and which ones did not and that evaluation alone was an educational experience for me as a designer. 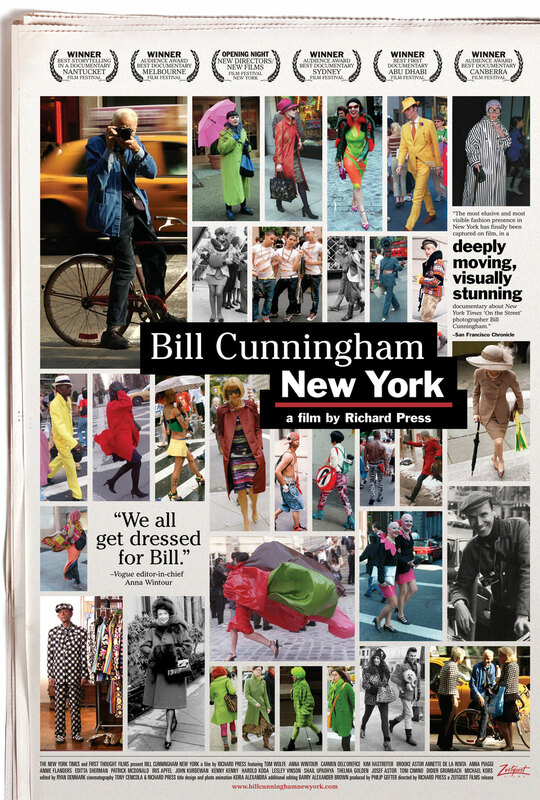 While he is easily known as Bill, I still address him as Mr. Cunningham and I am still one of "the kids". A couple years can pass and when I think he doesn't remember me, he surprises me. He remembers everything. To stay straight, honest and true in New York City is "like Don Quixote fighting the windmills" as Mr. Cunningham says at the end of the documentary. And he is absolutely right.